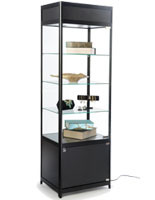 This LED display case tower is a great addition to any museum or retail outlet. 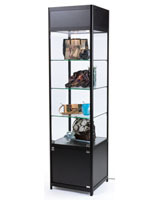 The store fixture stands 72” tall and is only 18” wide, taking up very little space. 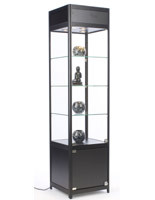 The floor standing display case tower is ideal for holding jewelry, purses, or ancient artifacts. 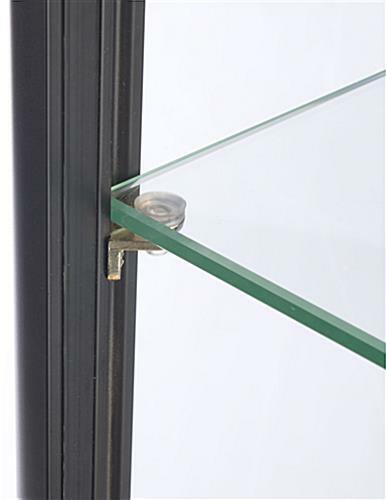 Also, the unit includes 3 tempered glass shelves which adjust to accommodate items larger in scale. 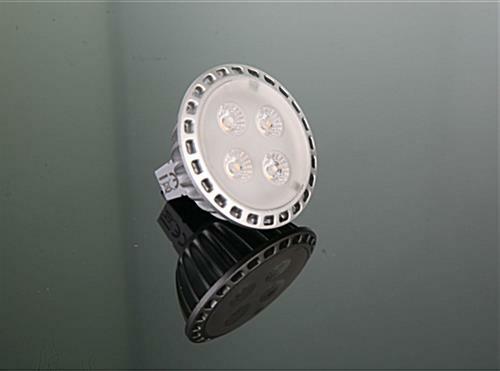 While in use, the eco-friendly bulbs only use 5 watts of power which will provide you with a long lasting display case. 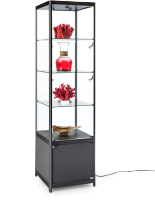 The glass store fixture will look great with any interior design and affords your jewelry merchandise a shimmering and luxurious appearance! Impressive display case for my action figures.. This is really a nice case .. Perfect for displaying my collection of action figures and video game do-dads.. The led lighting is awesome.. 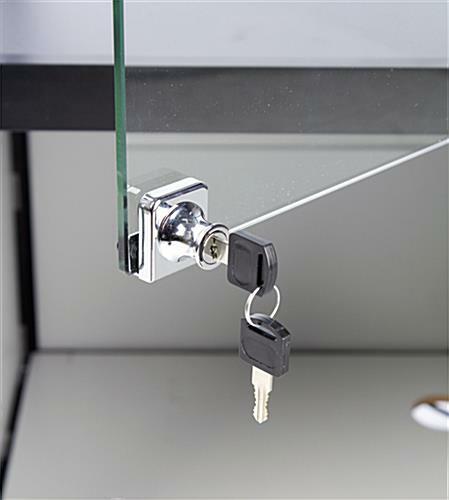 Assembled easily with the help of a friend.. 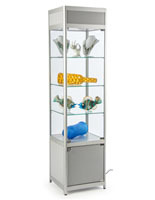 Tip - adjust your shelf heights before you assemble the case.. Just makes it much easier.. 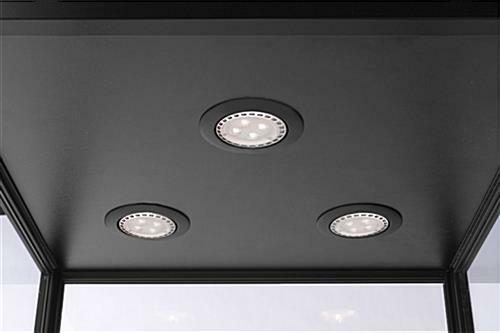 The 18" width makes it easy to find a good spot for the cabinet.. It's nice to have some storage space for the empty boxes underneath.. Very pleased with everything about this cabinet.. 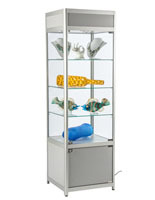 This display case works great for our needs. Also, the customer service team at Displays2Go is always helpful!